In the last couple of weeks I’ve made several of these one skillet gratinate dishes from Lidia Bastianich, delicious and so easy to make. Slice the zucchini into ovals, about 1/4 inch thick. Place 3 tablespoons in skillet and heat over medium. 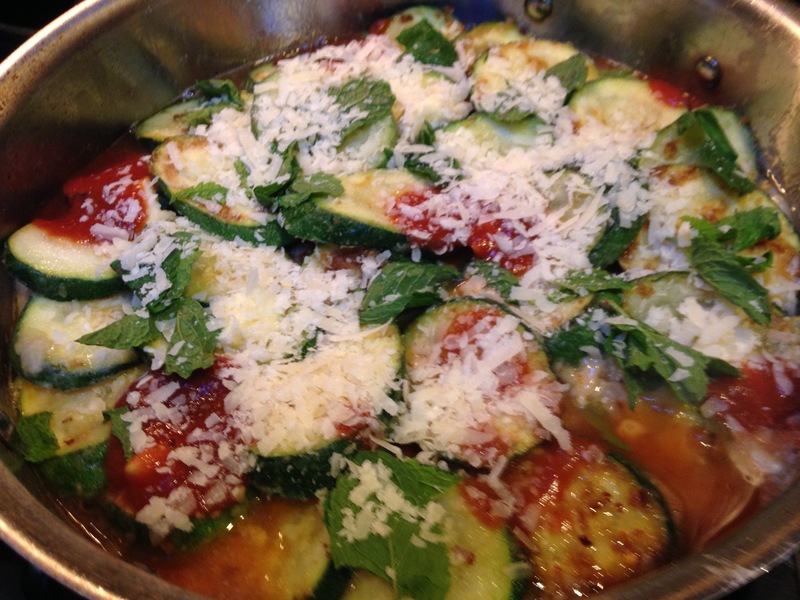 Toss the zucchini pieces in flour and lay them in the pan. Keep the heat moderate and let them caramelize slowly for about 2 minutes per side. 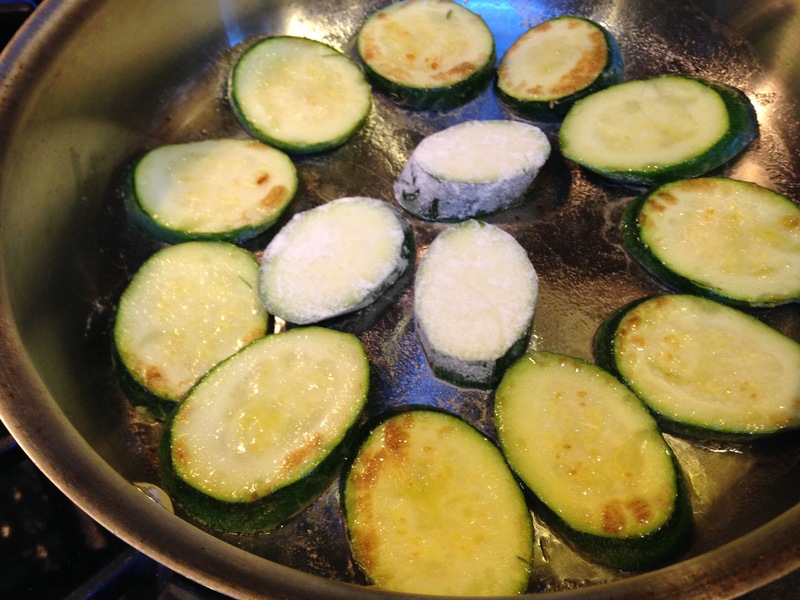 With a slotted spoon place the zucchini on a dish without using paper towels salt and place aside. Using the same pan you should have at least 2 tablespoons of oil and place 1 tablespoons of butter. Salt and dredge the chicken in flour. When the butter is sizzling place the chicken in pan. Cook them gently for about 1 1/2 minutes with no browning. Sprinkle again with salt. Spread a heaping tablespoon of tomato sauce over each cutlet. 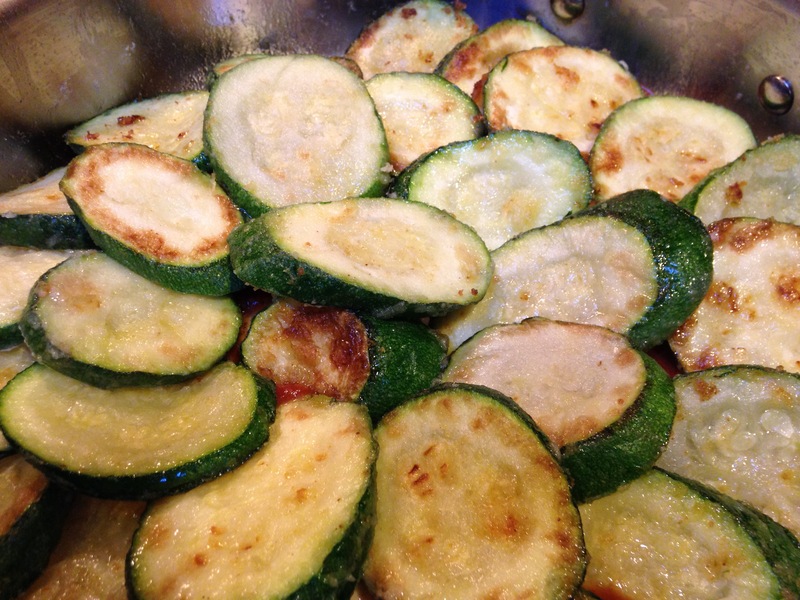 Arrange the zucchini pieces on top, overlapping. Now raise the heat a bit to develop a sauce. Add the hot pepper flakes, drop the remaining butter in small pieces all aroung the pan. Pour in the wine, spoon in the rest of the tomato sauce. Bring to a simmer add the mint, shaking the pan a bit and then add the cheese. Place the skillet in the oven, bake for 10 minutes. 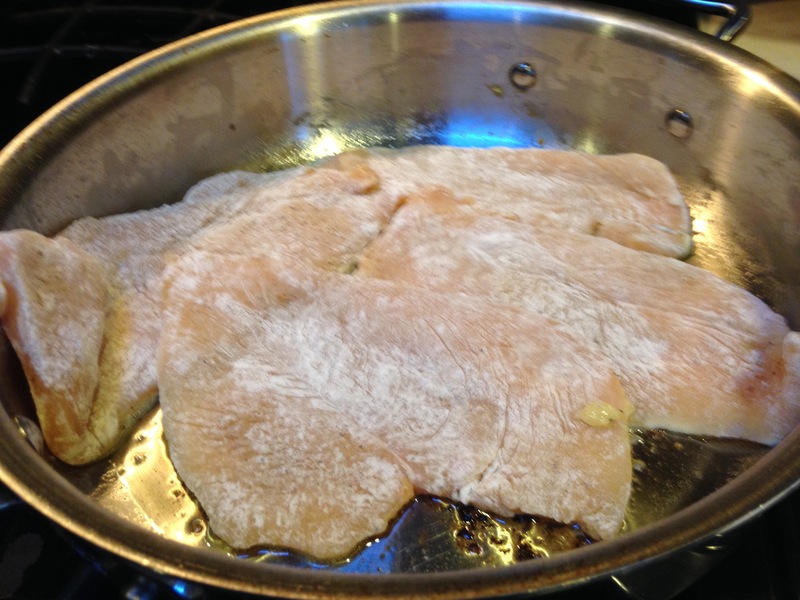 Then give the skillet a gentle shake then bake for another 8 to 10 minutes.